While summer might be a while off yet, it’s possible to open your outdoor space to guests right now – just as much as you would usually do in the summer months. What’s more, you can even boost your profits in the process. The Cantabria canopy system from Canopies UK enables you to use your outdoor space and create additional covers 365 days of the year, regardless of what the weather’s doing. 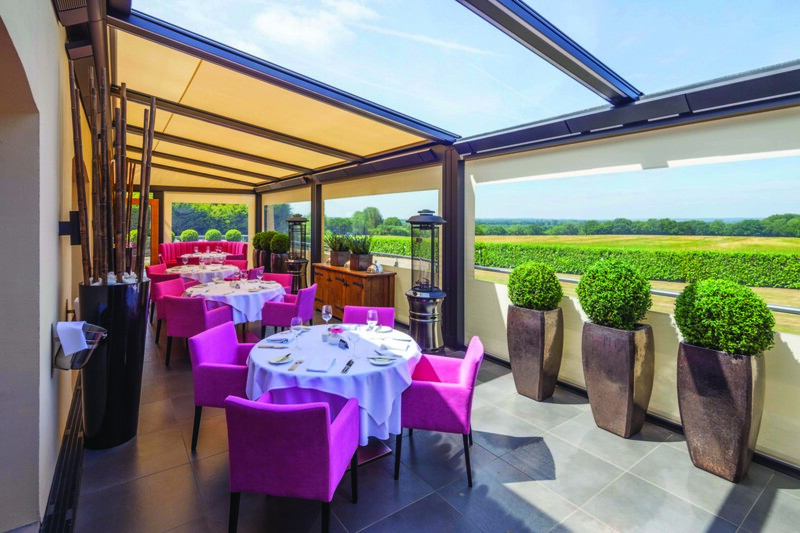 Controlled by a single handheld remote or smart device, the roof can be retracted at the touch of a button, while the glass screens make it possible to easily transform an open space into a stylish, fully enclosed unit. The Cantabria’s durable aluminium frame, integrated guttering, waterproof roof and glass screens combine to make a UV protected environment. What’s more, with an extensive range of glass sides to choose from – from fixed, folding and sliding, to balustrade and internal – the system is not just highly functional, but highly attractive. For instance, a closed unit offers 100 per cent protection in wind speeds of up to 60km/h. While in the finer months, the glass sides can be retracted, and come the cooler, wetter or more changeable weather, can be partially or fully closed. For more information visit www.canopiesuk.co.uk/hospitality or call 01254 777 002. * Based on Friday and Saturday, 2 sittings per day. **Based on £40 per cover = £7,360.